The e-waste crisis is going to worsen over the next several years despite best efforts to address the issue, one that’s long plagued the electronics industry–not to mention waste managers, systems and communities around the world, particularly in poor, far-off places, according to a new report from Pike Research. Optimistic estimates are that some 15% of electronics are recycled. 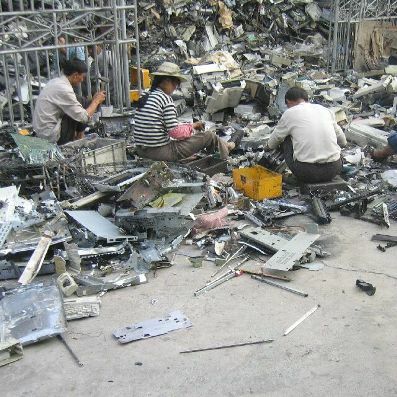 “Consumers have few incentives to reuse or recycle used electronics equipment…Inconsistent legislation, minimal controls on the recyclers, and little enforcement has also led to widespread and inappropriate dumping of e-waste in developing countries,” according to Pike. Pressure from non-profit and self-funded industry watchdogs have been the primary agents of changes that have led consumer electronics manufacturers to make somewhat more substantial efforts to address the problem. They’ve also led government officials to get tougher vis-a-vis regulations. The digital electronics “revolution” has done a lot of good for many, many people around the world; of that there’s no doubt. But it’s also created a lot of problems, particularly for the usually poor, far-off communities that are the recipients of the staggering amounts of toxic e-waste that winds up in dumps or is recycled in poor, hazardous conditions in Third World and rapidly industrializing countries. Whether it’s fashion and clothing, real estate developers, oil and mining or electronics companies, corporations continue to get away pretty much scot free when it comes to having to seriously address or deal with the consequences of the damage they cause to the environment. How many corporations have adopted what’s become known as “cradle-to-cradle” or lifecycle design into their design and manufacturing processes? How many employ environmental scientists and biologists and make them an integral part of their organizations? For the most part, people are content if these problems are “exported” somewhere else. As long as it doesn’t cause real health problems in their immediate area in the short-term, it’s not their problem. 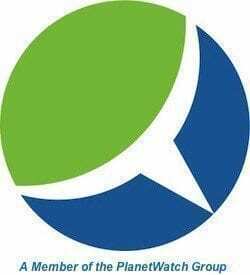 The thing is toxic chemicals and materials typically take a long time to degrade and accumulate to the point where a crisis level is reached. And they don’t necessarily stay local, especially in an increasingly interconnected, global economy, a truth that has become more apparent given recent instances of toxins in food, toys and other products imported from China. Even more disturbing, corporations have become all too adept at dis- and misinformation, carrying out large-scale public relations and media campaigns and co-opting “independent” and industry self-regulatory efforts rather than seriously addressing the problem, either on an ethical, voluntary basis or due to government pressure and regulatory efforts. Too concerned and wrapped up in their own lives and struggles, consumers and the general public in wealthier countries or economic strata are by and large satisfied with such guilt-soothing manipulations. For the poor in less developed countries where much of e-waste winds up, well, they really have little or no choice or say in the matter. “On the positive side, the European Union has established a strong regulatory framework with its WEEE and RoHS directives, serving as an example for similar initiatives worldwide. Many leading electronics manufacturers and service providers are also strong exemplars of what corporate social responsibility can achieve – in Pike Research’s analysis, this list of leading companies includes Cisco, Dell, HP, Motorola, Nokia, Research In Motion, Sprint Nextel, and Vodafone,” Pike notes in its report.